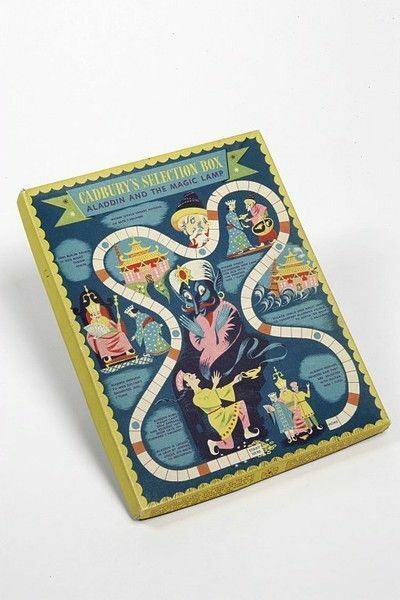 Promotional game, made to advertise Cadbury's Selection Boxes (chocolates). A simple race game. The playing pieces need to be cut out of the box.